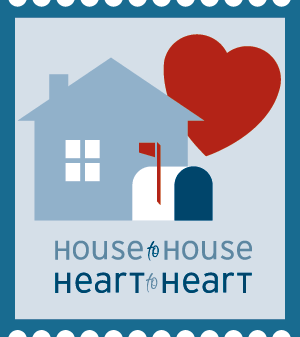 In order to achieve our low prices, all 2 million+ copies of House to House Heart to Heart are printed in color at once. Your customized copies are then printed in greyscale. At this time, we are unable to offer custom designed in color, but our designers are specially trained to create vivid and attractive designs in greyscale. As always, all custom design for events and articles are free.